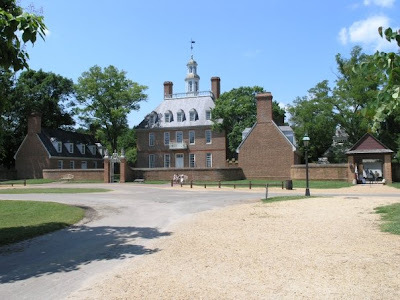 A recent visit to Colonial Williamsburg had the predictable effect of rekindling interest in the founding of our country, and brought to mind the character of colonial life and important events in the prelude to the American Revolution. One of the informational talks at a historical site described how the revolution began, arising slowly from mounting discontent with the degree of control imposed by King George and the British Parliament over the day-to-day lives of the colonists. One of the best known of those is the issue of taxation without representation, and the colonists’ impatience with the various taxes imposed on them, which eventually prompted the civil disobedience at Boston Harbor in December of 1773 when colonists dressed as Indians dumped cases of tea overboard to protest the Tea Act. But as most everyone knows the Boston Tea Party was not the actual start of the revolution; it did not fully materialize for more than two years, with the adoption of Declaration of Independence on July 4, 1776 by the Continental Congress. In the intervening period the relationship between Mother England and the Colonies continued to deteriorate until the night of April 18, 1775, when about 700 British Army regulars were given secret orders to capture and destroy military supplies that were reportedly stored by the Massachusetts militia at Concord. Armed conflict broke out the following day at Lexington and Concord. The colonists knew that their cause was lost if they could not resist the British with arms, and were not about to be put in that position. When the King’s men attempted to steal their munitions, they fought back. The following day, Virginians at Williamsburg reacted similarly when the Brits robbed their magazine, though no shots were fired in Virginia. As the fighting escalated into full-scale war, the colonists were not of one mind. There were three distinct factions: those opposed to British rule; those loyal to Britain, and those who were neutral. Estimates range from only one-third to as many as forty percent of the colonists actually opposed the Crown. Today, we see similarities to the mid-eighteenth century. The federal government has been growing slowly but steadily for most of its existence, and especially since the 1930s. With the shocking expansion accompanying the Obama administration’s assumption of the White House, the federal government will spend nearly one of every four dollars in the economy, up from just less than one in every five last year. And people are taking notice. Finally. ~ passed legislation that will impose dire restrictions on the conventional sources of energy and dramatically raise costs to business thus increasing the costs of nearly everything to the people. Many people see what is happening as returning to the state of things in 1775, watching as their freedoms are being taken away and they resent that they don’t have anything to say about it. As in the 1770s the people are not of one mind. And like in that time, a small minority can effect great change. “That’s the spirit that is under assault right now, today, in Washington. When government takes over everything, the people who lose are the people. Our freedoms are what are lost when everything is drawn into Washington, DC. 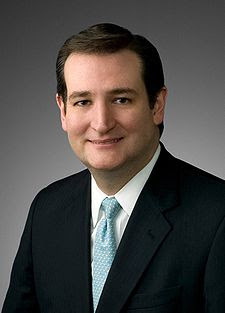 “I’m absolutely convinced the greatest legacy Barack Obama is going to leave in the Presidency is a new generation of leaders rising up, throughout the country, to stand up and defend our liberty. The men and women here will fight for our freedom. We will stand up. We will turn this around.